Thrombophlebitis (TF) is a clinical disease that is well known in the field of venous pathologies and most doctors in general. The formation of the thrombus with thrombophlebitis is largely due to the inflammatory process in the venous wall. This usually occurs when varicose veins (primary thrombosis), but may occur in non-duct veins, when both thrombosis and inflammation act together. The thrombus is better adhered to the wall of the superficial veins than to the deep deployed, which makes the surface thrombophlebitis less serious. Nevertheless, with this pathology, the complication of the type of pulmonary embolism thromboembolism occurs in at least one third of the cases. Thrombosis is probably the best name for the disease than thrombophlebitis, since infection is rare. As a consequence, and contrary to popular belief, most patients do not need to take antibiotics. A typical cause of thrombophlebitis is the varicose veins of the lower extremities. In many cases, the probability of developing thrombosis increases with immobilization, for example, in patients with heart failure, as well as in chronic conditions due to pulmonary or malignant illness. Also thrombophlebitis is often determined in patients undergoing surgery. It is now recognized that thrombosis of the upper extremities occurs more and more often after increasing the use of procedures that cause injury to the veins of the hands. Changes in the state of coagulation also increase the risk of developing thrombophlebitis. An increased risk of thrombophlebitis is observed in people over the age of 60 years, as well as in the presence of thrombophilia, arterial disease. 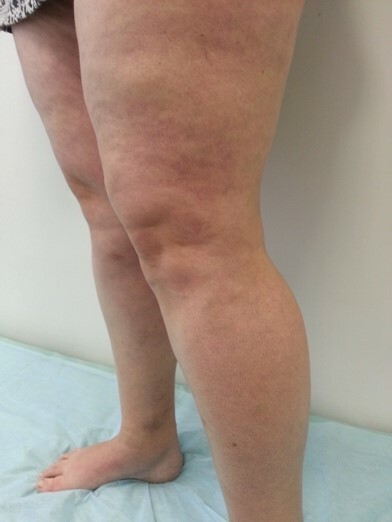 All patients with thrombophlebitis, but especially in the case of non-varicose superficial thrombophlebitis, require a complete clinical examination. Attention is mainly focused on the specific causes that caused inflammation of the veins.First and foremost, thrombophilia and cancer are excluded, since superficial thrombophlebitis may be one of the first signs of another, not yet diagnosed disease. In a retrospective analysis of 140 consecutive patients, the relationship between surface thrombophlebitis and malignant disease was detected (in 18 patients, which was 12.9%). Surface thrombophlebitis is manifested by erythema, pain, constipation and other signs of inflammation of the superficial veins. As a rule, the disease develops due to infection or thrombosis of the vessel. The pathology is most often a localized problem, but in some cases there is a link with an increased risk of deep vein thrombosis (DVT) and pulmonary embolism (LE), especially in the case of a large subcutaneous vein. More often, superficial thrombophlebitis affects the lower extremities, but with an increase in the frequency of use of intravenous catheters and injection injections into the arm, the prevalence of thrombophlebitis in the upper extremities increased dramatically. Patients with DVT may have symptoms, or only some of them. Sometimes the signs of the disease are absent at all.Symptoms can also mimic the infectious process or cellulite on the arm or leg. Compression - special compression linen or bandages are used, so that the place of defeat is maximally permissible to squeeze. As a result, painful sensations are reduced and inflammation goes away. Mobilization is important because it allows the patient to recover more quickly and avoid serious complications of type of pulmonary embolism. Pharmacological effect - in the case of an expressed clinic or threat of thromboembolism, the patient individually prepares a drug treatment, which, depending on the indications, may include drugs from the group of anticoagulants, NSAIDs, thrombolytics, etc. In the extreme case, surgical intervention is performed. First of all, the operation is shown to those patients who have not been helped by medical therapy. Treatment of deep vein thrombophlebitis is an anticoagulation or "dilution of blood" with the help of individually selected drugs. The recommended duration of treatment for uncomplicated DVT is three months. Depending on the patient's situation, the main medical indications and the causes of thrombophlebitis, longer anticoagulant therapy may be required. Three months later the condition of the patient is assessed in terms of the probability of developing a thrombus in the future. If it is decided to continue anticoagulant therapy for a long time, the physician estimates the risk / effectiveness of the prevention of blood clots as compared to the risk of bleeding. In the current recommendations, there are medicines that are best used in different situations. For example, patients with non-active TBW can often receive drugs from the NOAC group. If a cancer is detected, DVT treatment should be performed using enoxaparin as a first-line drug. All four medications are also indicated for the treatment of pulmonary embolism. Additionally, they can be prescribed to patients with anticoagulation with non-valvular atrial fibrillation. This allows preventing stroke and systemic embolism. Warfarin (Kumadin, Yantoven) is an anticoagulant drug that acts as an antagonist of vitamin K by blocking blood clotting factors II, VII, IX and X. Historically, it was a first-line drug for the treatment of blood clots, but its role was reduced due to the availability of new ones. 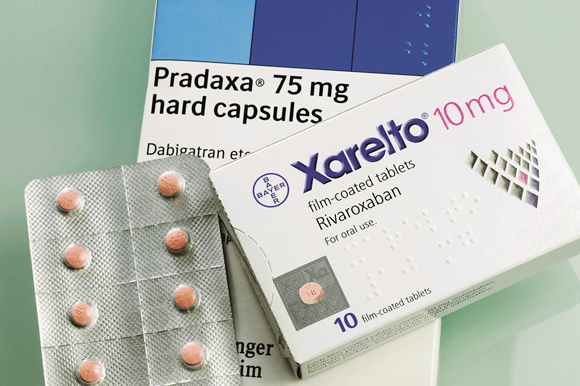 medicines Although warfarin may be prescribed immediately after the diagnosis of DVT, it takes a week or more to achieve a therapeutic level in the blood for its appropriate dilution. Low molecular weight heparin (enoxaparin, Lovenox) is administered at the same time. Enoxaparin cleanses blood almost immediately and is used as an intermediate therapy until warfarin begins to function properly. Injections of enoxaparin can be performed ambulatoryly. For those patients who have contraindications to enoxaparin (for example, renal insufficiency does not allow the metabolism of the drug to be adequately controlled), intravenous heparin can be used as the first drug in combination with warfarin. Such treatment requires admission to the hospital. The dose of warfarin is monitored by blood tests measuring prothrombin time. The patient again formed blood clots during the administration of anticoagulant drugs. The operation on the lower extremities is usually accompanied by the placement of a filter in the lower hollow vein to prevent clots from getting into the lungs. 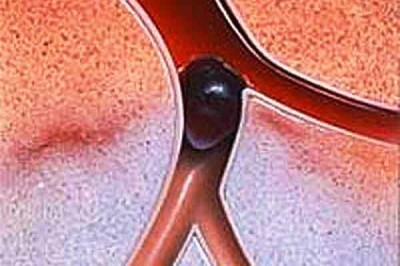 In the formation of a blood clot in the pelvic vein and femoral vein legs, an operation to remove the clot may be considered, but the patient must also take anticoagulant medications. Stents may also be required to keep the vein open and prevent further vessel drops. Embolism of the pulmonary artery is a major complication of deep vein thrombosis. In the presence of symptoms such as chest pain and shortness of breath, there is a danger to the patient's life. Most often, pulmonary embolism occurs when a person is on the legs. Post-fluticidal syndrome may occur after deep vein thrombosis. The affected leg or arm may become chronically swollen and painful with a change in the color of the skin and the formation of ulcers around the foot, brush or joint. Several treatment options are available in the acute phase of superficial thrombophlebitis (PTF), although there are currently no reliable recommendations based on proven information on best efficacy. The most important thing to keep in mind is that PTF is not a benign disease. There is a general view that compression is useful for symptom relief and may contribute to the healing of the thrombotic process. Fixed compression, used as the only treatment method, has been shown to improve duplex outcome in 81% of patients. Both bandages and graduated bandages are quite useful. You can use elastic compression stockings. In the vast majority of cases, different types of compression can be used. It is recommended that the compression bandage exceeds the thrombocyte area by at least 10 cm. Compression should be used for at least 2 weeks, but in patients with varicose veins, it should continue as long-term treatment. The mobilization concept completely changed the treatment of PTF. It has long been thought that patients in the acute phase of thrombosis should rest and avoid any movements of the leg. The reasoning was clear and basically consisted of helping the thrombus stabilize and avoiding the risk of getting its individual parts into the bloodstream. Current views differ significantly from one another. It is now believed that bed rest contributes to the progression of thrombus formation, mainly in the direction of deep venous system. Thus, the general consensus is that patients should walk regularly and avoid long periods of stay in bed, sitting or even standing. Although there are no controlled studies confirming the validity of this approach, clinical experience has shown beneficial effects, including a clear improvement in the quality of life of patients with thrombophlebitis. The motor activity resembles healing physical exercises with the disease of the peripheral arteries and ischemic heart disease. Anticoagulation is most often performed first. The additional treatment depends on the duration of thrombosis, which should be determined by ultrasound, performed by well-trained professionals with a great deal of experience. If the magnitude of thrombosis is 5 cm or less, the treatment is carried out with non-steroidal anti-inflammatory drugs (NSAIDs). They can be entered locally or systemically. They allow you to reduce pain and, most likely, to remove perivnost inflammation. In this case, NSAIDs should not be prescribed in addition to anticoagulants. If the thrombosis value is up to 10 cm (according to ultrasound data), regular anticoagulant therapy, including low molecular weight heparin (LMG), unfacied heparin (NFH) and vitamin K antagonists, is indicated. LMG may be administered in a prophylactic or therapeutic dose. In cases of extensive thrombosis (more than 10 cm), especially in the presence of several other risk factors, fondaparinux may be prescribed, which reduces the likelihood of death, symptomatic deep vein thrombosis and prolonged / recurrence of surface thrombophlebitis. Clinical experience and several clinical studies report on the improvement of local signs and symptoms after the use of local drugs such as diclofenac, ibuprofen and other gels. Their effects are often well received and evaluated by patients, although local irritation or allergy may occur. In the future, new classes of anticoagulants can be developed, which will reduce the frequency of deep vein thrombosis and the expansion of PTF. To date, there is only limited information on deep vein thrombosis. Surgery is rarely performed with superficial thrombophlebitis, is most commonly used in its acute form. The excision of the affected vein can be accomplished when the symptoms persist after 2 or more weeks of intensive medical treatment.If the doctor has concerns about the further expansion of thrombosis, it may be possible to consider the ligation of the vein and, in the final analysis, its excision. This mode of exposure has no special support and almost no controlled randomized trials have been conducted on its efficacy. Compression and mobilization remain the main aspects of the treatment of the chronic form of the disease, while the control of conditions for the patient at home and at work is important. It is usually considered that constant immobility is a provocative factor in venous insufficiency. Unlike acute thrombophlebitis, in the chronic phase there is sufficient evidence for surgical treatment, including stripping and bandaging. 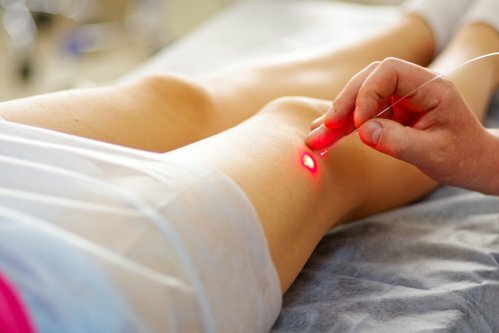 In case of damage to small vein segments, foam sclerotherapy is performed , which is most often safe and useful in conducting under ultrasound control. It is important to know that in all cases, the guidelines for mobilization and compression of the affected area, which are detailed in the above, should be followed. The upper limb is defined by the shoulder, axillary, and subclavian veins. Internal jugular veins and more distal ray and elbow veins are less common. Like in the case of lower limbs, thrombophlebitis may also be superficial and deep. More careful and prolonged treatment is required by the DVT. The primary form is known as Paget-Schretter's syndrome and is commonly found among young athletes involved in activities that require excessive and repeated movement of the upper extremities. In particular, damage often occurs when an intensive engagement in combat, swimming, gymnastics, and sports with repetitive balls (i.e., football, baseball, and basketball). The secondary form is most commonly encountered in patients with central venous catheterization or in patients with malignant neoplasms. With this form of disease, catheterization destroys the endothelial membrane, and also activates a similar coagulation cascade. In addition, congenital and acquired cases of blood coagulation disorders, such as Leiden mutation of factor V or malignant tumors, also increase the risk of DVT in the upper limb. TBB of the upper extremities presently comprise from 5% to 10% of the total number of all DVT, and incidence is increasing annually. Treating TBV of the upper extremities depends on the clinical picture. Most patients have swollen limbs at the site of central venous catheterization. If the vessel is associated with general peripheral nutrition, it should remain in place, and then anticoagulant therapy is performed. If the vessel is not the main one, it is removed, but only after the completion of 3-5 days of anticoagulant therapy. Warfarin may be prescribed in the hospital with non-fractional heparin. In this case, patients should continue to receive warfarin within 3-6 months after diagnosis. The role of new oral anticoagulants (eg, dabigatran) is currently being studied. Recent data from the Swedish National Registry for Atrial Fibrillation and Anticoagulation suggest that these drugs can be used to treat upper limb TB with acceptable efficacy and safety. Treatment of the secondary form is different, as in this case, acute thrombosis usually occurs. Thus, patients develop significant pain and edema requiring intravenous thrombolysis. Such therapy helps to eliminate pain and swelling, but does not cure the root cause. Consequently, a patient with secondary TGV of the upper limb will require an urgent surgical intervention to remove the first rib. This provides additional space in the thorax to prevent future squeezing of the vascular-nerve beam. Today thrombophlebitis is quite common, especially among young people engaged in professional sports such as weightlifting, boxing, martial arts, etc. The disease is most often not complicated by pulmonary embolism, but still in 30% of cases thrombosis of the vein of the leg can spread to proximal areas and then complicated by pulmonary embolism.Especially this risk increases in the absence of necessary treatment. 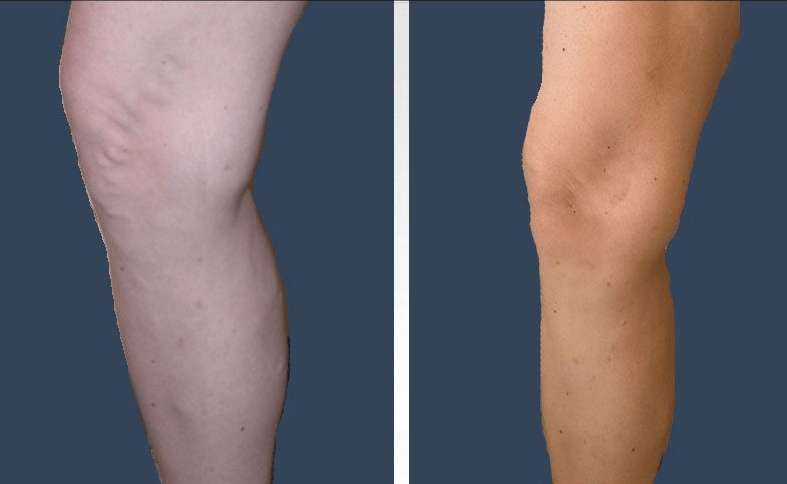 The word "proximal" refers to the deep veins above the knee. Everything below the knee is "distal". Although anatomical variability often occurs, these distal veins include pairs of fibula, posterior tibia and anterior tibia veins that accompany the corresponding arteries of the leg. 1 - external ileum; 2 - general femoral vein; 3 - large subcutaneous vein; 4 - deep femoral vein; 5 - superficial femoral vein; 6 - popliteal vein; 7 - anterior segment of the tibia; 8 - tibial back segment; 9 - peroneal drain segment; 10 - anterior tibia veins; 11 - posterior tibia veins; 12 - venous veins; 13 - calf muscle veins (medial head); 14 - venous muscles. (From Palareti G, Schellong S. Isolated Distal TBV: What We Know And What We Do.) J Thromb Haemost. 2012; 10: 11-19. In modern medicine, there is no consensus on the treatment of thrombophlebitis. The guidelines are very vague. 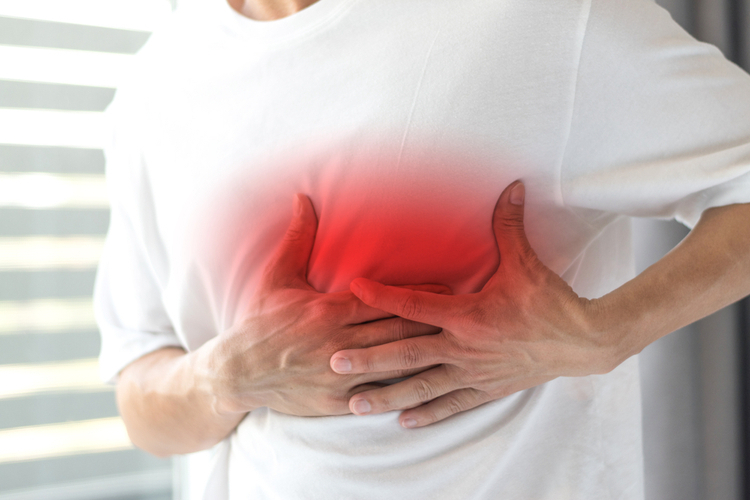 For example, in the current recommendations of the American College of Thoracic Physicians there is no mention of how to treat thrombosis of the glandular vein. Nevertheless, from the general principles, the same immediate and long-term (at least 3 months) anticoagulant treatment for all diagnosed DVT (without any difference between proximal and distal areas) was recommended. Additionally, anticoagulation therapy is used, as in the case of other types of treatment, thrombosis, compression and mobilization. The only thing, with pronounced swelling and inflammation of the first time, may require lifting a foot above the heart, and with a decrease in the severity of symptoms, perform moderate physical exercises to prevent relapse of the disease. (EVLO) in conjunction with miniflebectomy. The photo shows the condition of the leg before and after the treatment. A young woman 36 years old complained of pain in her right leg. After the examination, varicose veins were diagnosed in the stage of subcompensation and thrombophlebitis. Treatment was performed using EVLO and miniflebektomii. 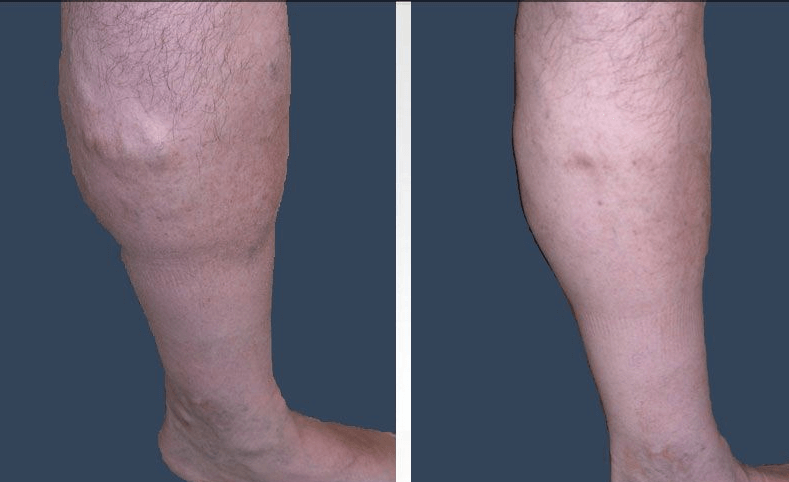 The photo shows the condition of the leg before and after (after a month) of the therapy. A 42-year-old woman turned to the center of phlebology, who complained of pain in her left leg and redness in the area of ​​her knee. The first manifestations were noted 15 years ago, but a noticeable deterioration has occurred relatively recently. With the help of the ultrasound, an inflamed and thrombotic vessel in the basin of the large subcutaneous vein was identified. As a result, an operation was performed under local anesthesia and using low molecular weight heparins, namely, EVLO and miniflebectomy. Three months after treatment, the condition of the leg in the photo below is visible. Treating thrombophlebitis at home is only possible if the doctor's examination showed no serious consequences. Then, with medical consent, home remedies can often be used, often contributing to the earliest recovery. Also, treating thrombophlebitis at home can be effective if the disease is detected at an early stage of development or it is necessary to take measures to prevent the recurrence of TF. Compression linen is the most important way to treat thrombophlebitis at home. With its help improves blood circulation, also decreases the severity of edema. Usually, it is recommended to wear stockings if the lower limb is affected, but other types of compression lung can be used to remove thrombophlebitis elsewhere (arm, chest). Compressed with warm water - often used to eliminate the effects of irritation of veins due to intravenous drug therapy.This is an inexpensive and effective remedy for phlebitis, which has been verified by research. To prepare a warm compress, you need to take a clean cloth, moisten it in warm water and push it to a sensation of light humidity. The cloth is applied to the place of defeat, from above it is possible to cover a terry towel. The warming effect of the compress should last for about 10-20 minutes. To achieve the effect, it is necessary to perform the warming procedure 3-4 times a day for up to 5 days in a row. Usually the first signs of improvement become visible on the second day. It has been found that the use of an anti-inflammatory agent in the form of aloe vera accelerates the resolution of symptoms such as redness, swelling and pain in people with thrombophlebitis due to intravenous injections. The plant contains such components as glucomannan, gibberellin and salicylic acid, which can have a beneficial effect. To prepare the product, you need to break the fresh sheet of aloe vera in half, get the gelatinous substance from the inside and apply it to the affected area to ease the clinical manifestations. It is possible to wash the medicine after 20 minutes, to do the procedure twice a day. Aromatic oil from eucalyptus and lemon also works against inflammatory diseases such as thrombophlebitis. Experts suggest that it may be helpful to mix 10 drops of this essential oil with a teaspoon of sunflower oil or other carrier oil and apply it to the affected area. You can also mix 15-20 drops of lemon-eucalyptus oil with a teaspoon of milk, add the mixture to the bath and stay in warm water for 10-15 minutes. Onions and garlic are rich in sulfur-containing compounds, such as paraffin polysulphides, adenosine and allicin, which dilute the blood. 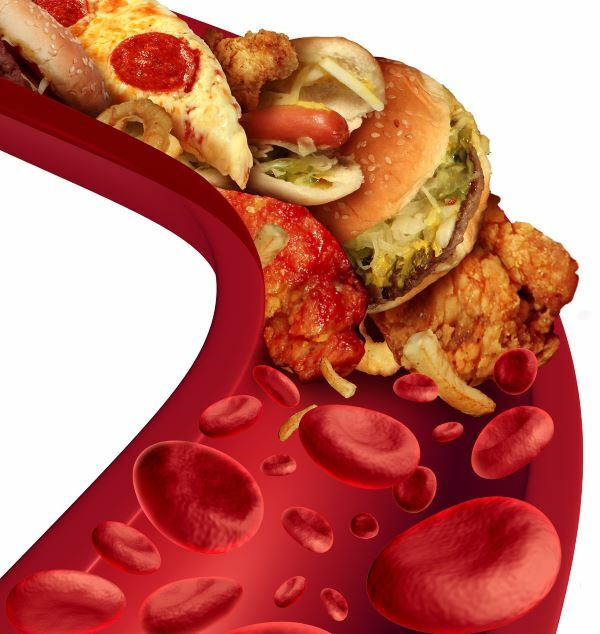 These substances may interfere with the adhesion of the platelets to the blood, forming blood clots.Thus, the addition of these taste enhancers to the diet can help prevent the formation of blood clots that lead to inflammation and thrombophilia of the veins. It is important to know that they are not intended to replace the blood-thinning medications prescribed by the treating doctor. You can not stop taking any prescribed medicines without the permission of your doctor. You should also keep your doctor in check if taking food with a blood-thinning effect in addition to a medicine with anticoagulant properties. Pineapples contain a group of enzymes known as bromelain. Studies show that this important component can be useful in treating, as well as preventing thrombophlebitis. It has been found that bromelain well helps to reduce swelling and inflammation. It also has a blood-softening effect, as it can reduce the tendency of the platelets to stick together. So enough to drink some tasty pineapple juice to support inflamed veins and get a lot of other benefits. You can also consult your doctor about bromelain supplements. Ginger is another widely available ingredient that has both anti-inflammatory and blood-thinning effects. One study confirmed the increase in blood viscosity and its propensity to form blood clots in healthy men who had been eating 100 grams of oil every day for a week. But when 5 grams of ginger was added to the high fat diet, the effect of bleaching blood was noted, with the tendency of blood platelets to stick to a significant decrease. 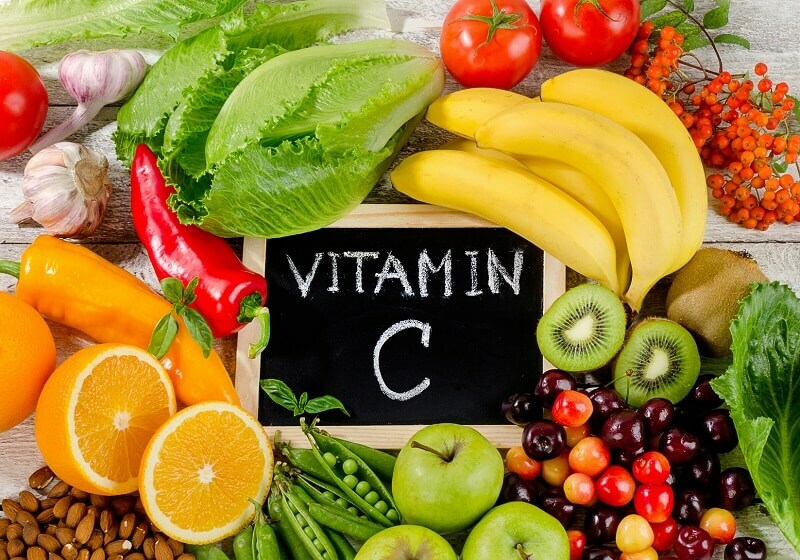 Thus, the addition of this product to the general diet does not only enhance the anti-coagulation factor, but also prevents the formation of blood clots that can lead to inflammation of the veins. To evaluate the effectiveness of one or another method of treating thrombophlebitis allow feedback from real users. Some of them are given for general familiarization. After delivery I was given thrombophlebitis and I was also lucky as I turned to the phlebologist in time. The disease was determined at an early stage, therefore, it was necessary to buy a minimum of medicines. So far, I use gel, which contains heparin. 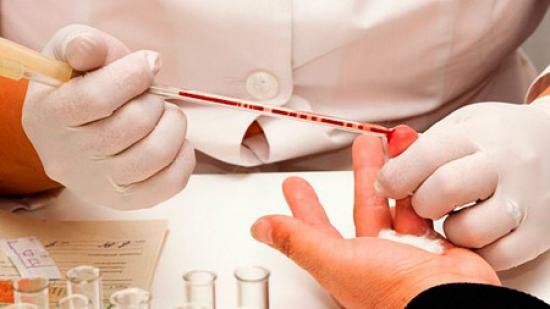 Such a remedy is also called heparin acrychinovsky. It helps me quite well, so the condition of the veins and legs has improved. As diagnosed with thrombophlebitis, the first thing was the desire to start treating folk methods. But then he looked at various information and realized that it was better not to joke with this disease. Heavy complications may be complicated, so he turned to a private clinic for a phlebologist and after three months he forgot what pain in the leg and other troubles was. The main components of the treatment of acute thrombophlebitis are compression, mobilization and anticoagulation.Several studies published in credible journals have shown a positive effect of both old and new anticoagulant drugs. After the weakening of the symptoms and signs associated with the acute phase, special care should be taken in the chronic course of the disease when venous insufficiency can develop. Such a complication can lead to symptoms, disability and changes in the skin.